In its 15th year, the Elk Grove Run 4 Hunger is a flat, fast, certified course starting and finishing under the majestic old oak trees at Elk Grove Regional Park. Awesome course, great bling (finisher medals for all), and yummy refreshments. Prizes packages for top female and male runners. 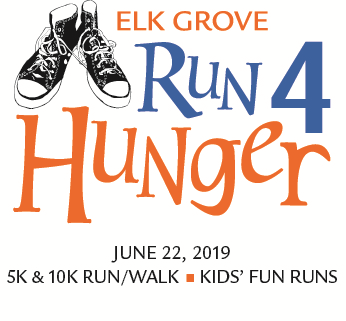 Event proceeds from the Elk Grove Run 4 Hunger benefit the Elk Grove Food Bank Services (EGFBS), a nonprofit dedicated to providing essential resources to overcome the many faces of hunger and human need. Go to www.EGRun4Hunger.com to learn more!